During the recent Christmas week, temperatures were 30 to 50 degrees above average in some places. Through November, the area of the Arctic Ocean covered by ice reached a record low in 7 out of 11 months, which has never been seen before. Perhaps the most dramatic observation is that the difference in temperatures between the Arctic and the middle latitudes of North America during 2016 was the smallest ever seen. This narrowing temperature gap seems to be driving all sorts of extreme weather in the middle latitudes including heatwaves and droughts as well as heavy snowstorms. This is because Arctic amplification – the faster rise of temperatures in the Arctic – is creating very wavy patterns in the Jetstream. When these waves get large, we tend to see strong and persistent weather patterns in the middle latitudes. The increasingly crazy weather in the Arctic appears to be the result of feedback loops. 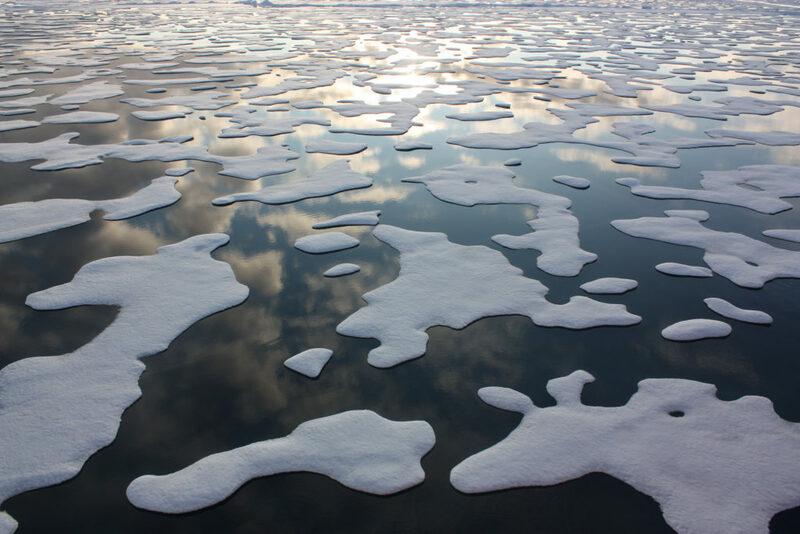 Heat trapped by greenhouse gases melts sea ice. Losing more sea ice causes more evaporation, which traps more heat, which melts more ice. A vicious cycle. And the wavier jet stream transports more heat and moisture into the Arctic, which makes the jet stream wavier. Another vicious cycle. Five years ago, most climate models were saying that the Arctic sea ice would be gone in summer by the end of the century. Now they are saying 2030 or 2040 and that may even be too far in the future. The climate seems to be changing quite rapidly. ‘The Arctic is Getting Crazy’ from Earth Wise is a production of WAMC Northeast Public Radio.